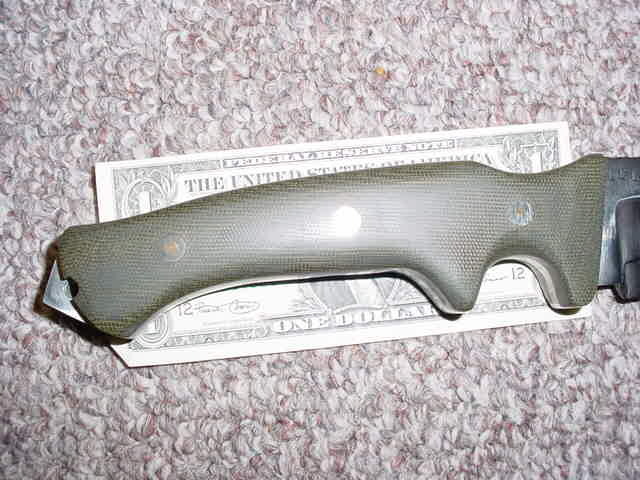 Hermit River Knives, camp knives, fighter knives, daggers, skinner knives. Welcome to my Fixed knife page. I will be updating these pages shortly but this is a small sampling of some fixed knives I have worked on in the past. 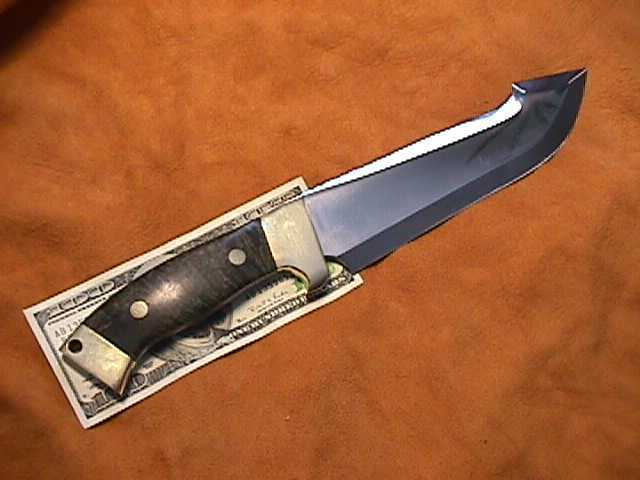 This is a fighter commisioned and ordered by a serious 3 gun competitor. It's O-1 Starrett precision tool steel, 1/4" thick, 2" deep and approx 17 overall length, 10" blade. 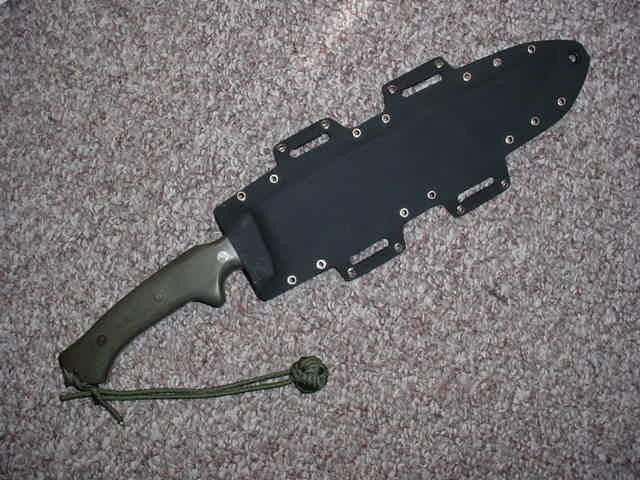 I designed the leg sheath out of heavy kydex and to be strapped to a calf. It's a positive retention "snap fit", easy release with a minor "tilt". While I love leather. 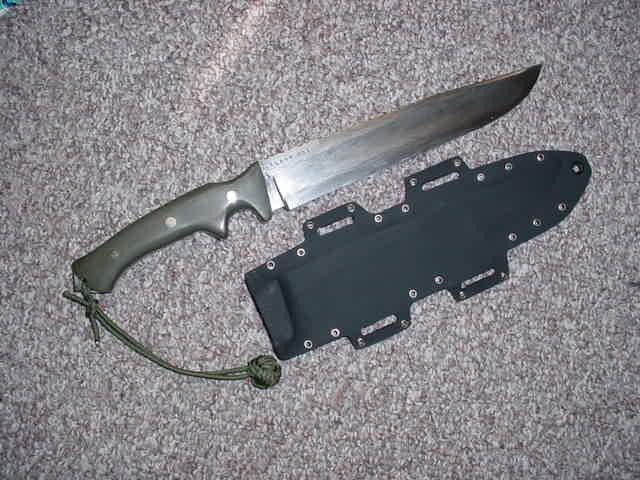 Kydex is excellent for tactical or survival situations. 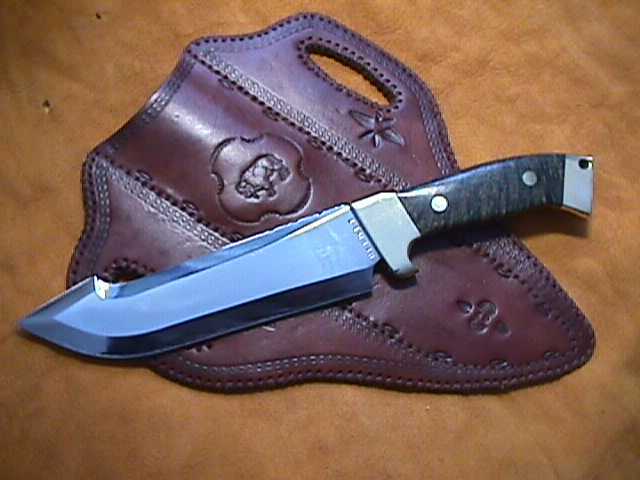 You may also note in most all my fixed knives I prefer to use carbon steel or damascus steel. 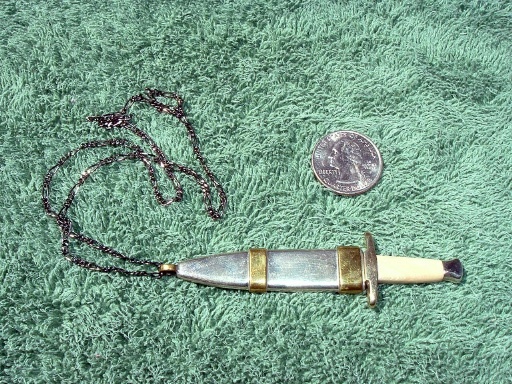 This miniature was ordered as a "jewlery piece" for a knife collectors wife. 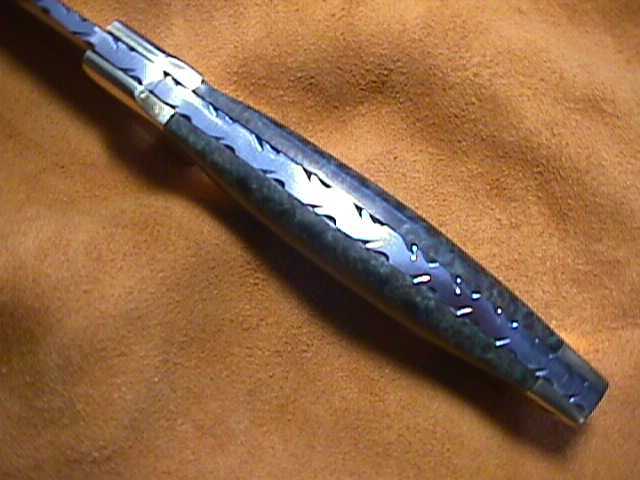 It's a handforged high contrast damascus dagger with mastodon ivory handle, brass pommel and guard. 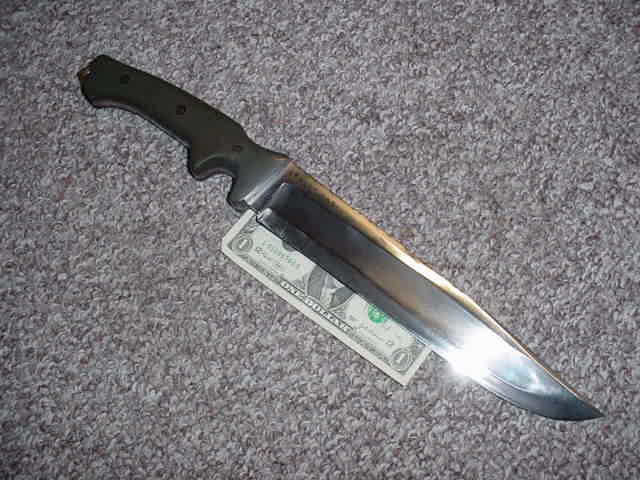 Overall length in sheath is about 2 1/2". Miniatures are very difficult to make and take longer than full size knives. They, however are so unique, they are worth the effort. 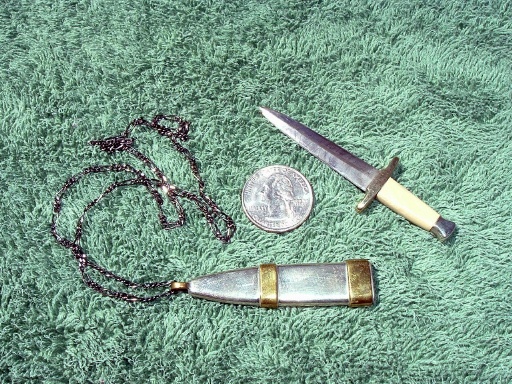 The sheath is solid nickle silver and brass accents with a black brass chain. 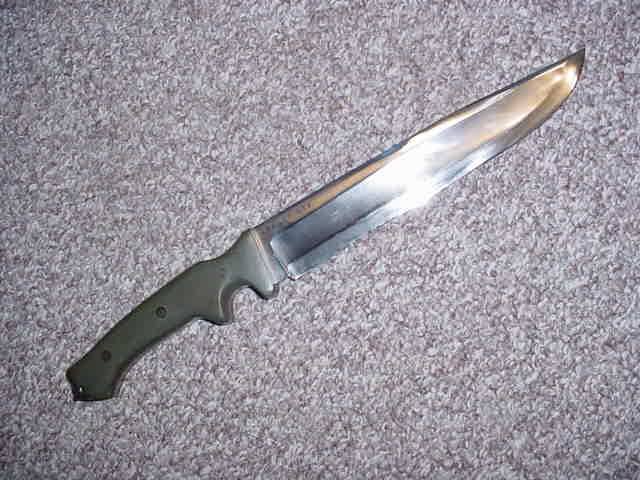 The knife is worn handle down and has a light leaf spring retention system to hold it securely. This dagger is fully functional and sharp. 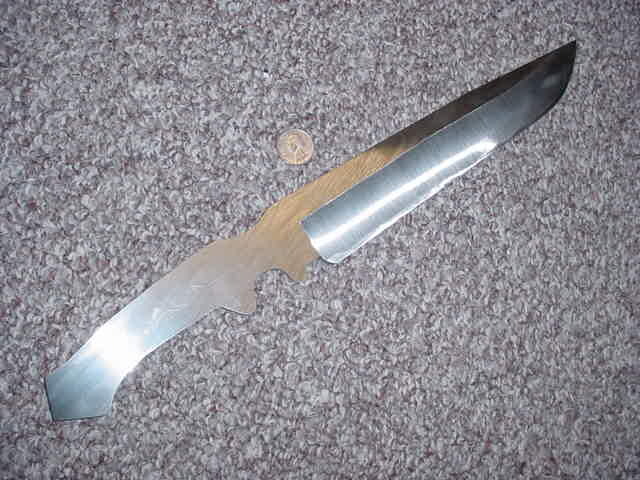 A skinner I made that will skin a tank it is so stout. Again, 1/4" x 2" deep, about 7" overall length. Tribal file pattern and a sheath once again by Jack Dunstan. 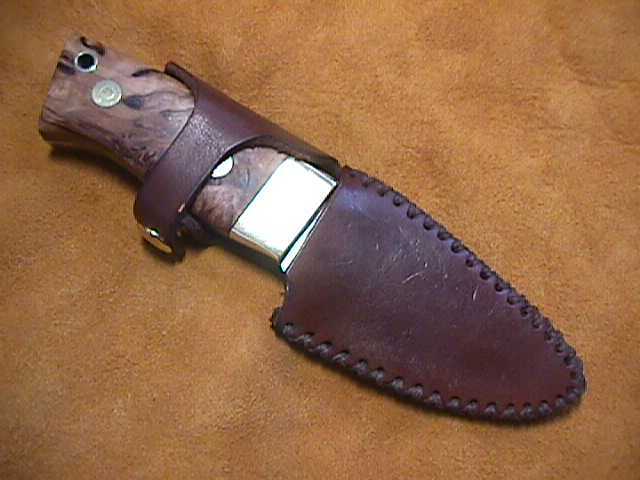 Yes I do make sheaths. 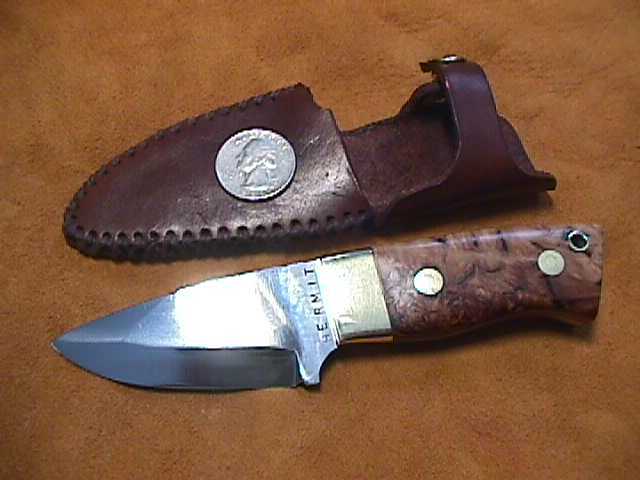 lots of them but I like Jacks work and on certain knives or when I want a tooled or special sheath, he is the man. 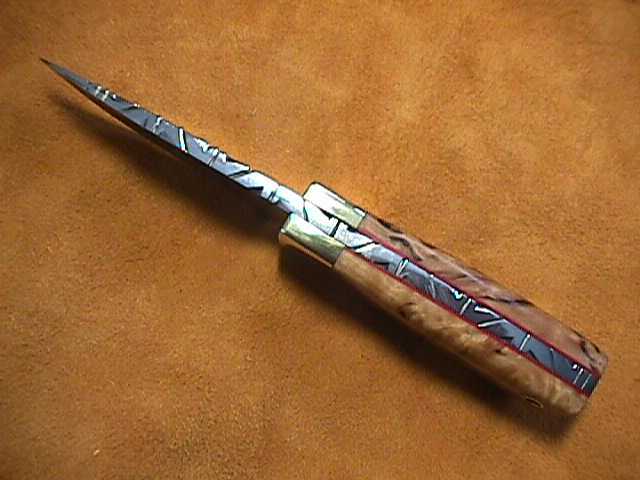 This has brass bolsters, brass loveless bolts, brass tubing for thong and is scaled in stabilized Nordic curly birch.